Poet and essayist María Auxiliadora Alvarez (Caracas, Venezuela, 1956) presently works as Professor of Hispanic Literature at Miami University, Oxford, Ohio. Her first book of poetry, My Feet in the Origin was published in Paramaribo, Suriname, in 1978. Three later titles were published in Caracas: Body (Fundarte, 1985); Hu(n)t (Fundarte, 1990); and Immobile (Pequeña Venecia, 1996). Both Body and Hu(n)t were republished as a combined edition by Fundarte in 1993. Pompeii was published in Mexico by the University of Puebla and LunaArena Editores in 2003. The Eternal Apprentice and Radiant Splendor were published in Caracas in 2006 by Bid & Co. Monte Avila Editores Latinoamericana edited her anthology Lugar de Pasaje with a selection of all her published work until 2009 (Ed. Linde M. Brocato. Prologue by Julio Ortega). Another anthology Las nadas y las noches (Nothings and Nights) was published in 2009 by Candaya in Barcelona, Spain (Ed. Mario Campaña. Prologue by Julio Ortega). Both anthologies also included selections of four unpublished books. Her next book Cuerpo y Paréntesis del estupor (Body and Parenthesis of Stupor) was published in 2011 by Mantis Editores/Universidad de Nuevo León, Monterrey, Mexico. Her new book Piedra en :U: (:U: Stone) is scheduled for publication in 2015 by Candaya in Barcelona. Her poetry has been translated into English, French, Korean, Rumanian, Chinese. 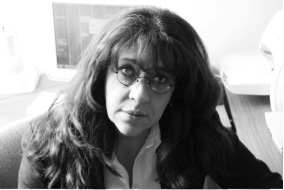 María Auxiliadora Alvarez has contributed to various anthologies, literary reviews, journals and newspapers in Venezuela, Mexico, Ecuador, Chile, Argentina, Peru, Colombia, Spain, France, Switzerland, Canada and the United States. Among other honors, she received the Poetry Prize of the Municipal Council of Cali, Colombia (1974); the Fundarte Poetry Prize (Caracas, 1990) and the María Pía Gratton International Award from the University of Illinois (Urbana, IL,USA, 1999). As a scholar, MAA has published several articles in international journals on Literature, Cultural, Colonial and Women Studies. Her essay book Experiencia y expresión de lo inefable. La poesía de San Juan de la Cruz (Experience and expression of the ineffable. The Poetry of Saint John of the Cross) was published in 2013 by the Benemérita Universidad Autónoma de Puebla-BUAP, Mexico.